A short term loan is a type of loan that is scheduled to be repaid in less than a year. If you are thinking of starting a business, opening a virtual bank account and need some capital to get started, a short term loan may seem like a viable option. Of course, you can get money you need quickly, but sometimes that speed comes at a price. Before you apply for a short term business loan, you should consider the pros and cons of getting one. Keep reading below to learn more about the benefits and disadvantages of these types of loans. A short term loan is the key to get cash you need quickly. Unlike regular loans, loans with a short repayment term can be approved within hours. This can be especially helpful in the event of a monetary emergency. If your startup company is facing closure, a quick loan could be just enough to help you dig yourself out of the grave. The fast cash received from these short loans is not just for emergencies, however. You can use the money to take advantage of new growth opportunities that would have otherwise been out of reach. Having access to a few hundred dollars in just a few hours could provide cash flow for a small business or entrepreneur, especially when just starting out. If you need cash quickly, a small short term loan could be the answer you are looking for. One of the major pitfalls of loans for the short term is their high interest rates. Alternative lending options are able to hand out thousands of dollars to borrowers in need every day, because they know that they will eventually receive repayment tenfold. The interest rates of these loans are often much higher than traditional loans. In addition to the high interest rates, excessive fees and penalties can also add up very quickly. Lenders will often charge borrowers regardless of their financial situation. If you are not prepared to pay the loan back when it is due, you will face some serious business debt. In the end, this could lead to you being even further in debt. Consider this disadvantage before you apply for a short term loan. In addition to fast cash, one of the major perks of loans with short term repayment schedules is that they are easy to get. They can be approved in a few hours. These banks offering quick loans also approve people who would not be able to receive a traditional bank loan. Short term loans are often given to people without a good credit score. Adopting this higher risk allows the lenders to charge more in interest rates and fees. However, it also means that you can access the money you need no matter what. The short term lending process is fast and not nearly as much of a hassle as traditional bank loans. There is often less paperwork involved, as well. 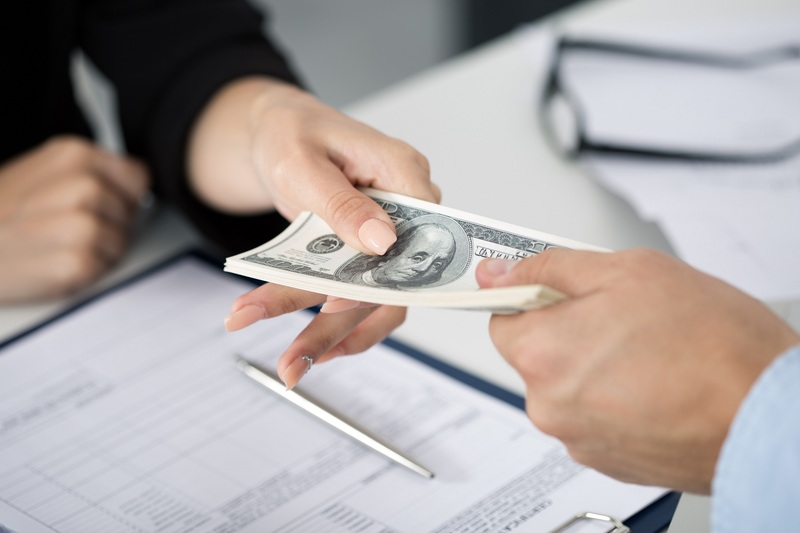 If you need a quick business loan, and are not interested in dealing with the hassle of a long term loan, then short term funding may be right for you. Another disadvantage of short term loans is that they are given out in much smaller sums than regular bank loans. Because they are meant to be payed back quickly, loans that are short term tend to only be for a few hundred dollars. Some of them can provide $1500 or even $5000, but that leads to an increased risk for both the lender and the borrower. Generally, you may not be able to borrow all of the money you need all at once. In this case, it may be best to put in the extra effort and apply for a long term bank loan or borrow the rest from a low interest credit card. In short, if you need a lot of money, a short term financing option may not be for you. If you find the right lender, you can also benefit from not having to pay pre-payment penalties while still avoiding risky car title loans. Prepayment penalties, sometimes called prepay, are fees incurred when a loan recipient pays back their loan before the agreed date. While there are many short term lenders that do assess these fees, there are some that do not. As long as you select the right short term loan provider, you can avoid paying these fees if you are able to get rid of the debt in a short amount of time. It is a huge advantage to not have to be punished for making good financial decisions, so keep this in mind when looking for lawsuit loans or other short term financing solutions. The biggest disadvantage of short term loan use is the underlying financial instability it indicates. A short term loan in and of itself is harmless, if only a bit expensive. However, short term loans indicate the presence of problematic finance management practices. If you are good at managing your money, or if you have a great financial accountant, you will probably never need a short term loan. Obviously, this is not the case for all short term loan seekers. But this could be a huge disadvantage to some. A short term loan will never be able to fix cash flow management issues or other poor business finances practices. Keep this in mind. A short term loan can seem like a quick and easy solution for many business owners who need working capital and entrepreneurs who are seeking startup funding. However, there are some distinct disadvantages to these types of loans, as well. Consider all of the pros and cons involved in taking out one of these loans with a short repayment term before you make your decision.